Avengers: Endgame fans already know the crux of the final film in Phase 3 of the Marvel Cinematic Universe. But the newest clip unveiled by Marvel spells out the apparent — the surviving Avengers hatching a plan to hunt down and defeat Thanos after the mad Titan wiped out half of all universe's population with his snap. The teaser video also hints at a possible reversal of the Decimation episode, which could indicate the return of all the 'fallen' superheroes. 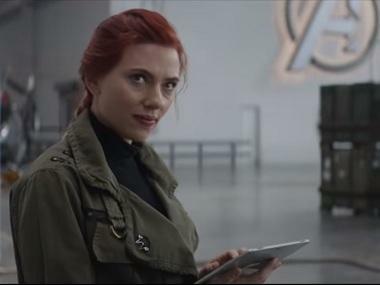 “We owe it to everyone not in this room to try.” Watch a brand-new clip from Marvel Studios’ #AvengersEndgame. But what has stood out in the video is the conspicuous absence of Iron Man in the room. He was last seen in the trailer of Avengers: Endgame, trapped with Nebula in the Benatar while it was adrift in outer space. Avengers: Endgame is scheduled to fly into theatres on 26 April. 2Gully Boy's impact on Mumbai's hip-hop scene: As brands embrace genre, can hype be sustained?